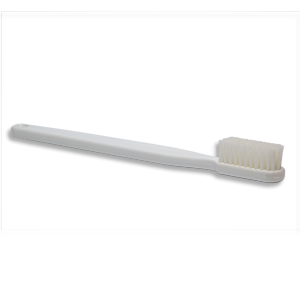 Our oversized toothbrush conveys instant understanding during consultations. Use with the Full Mouth Model (W562, sold separately) to demonstrate proper brushing technique while chairside or in the classroom. A great conversation starter that appeals to children and adults alike! Length: 12 inches.